Statistically speaking, if you are an American who has a good time watching sports, you probably enjoy American football - henceforth referred to simply as "football"; let's not get into this whole soccer/football naming debate today. The NFL is the biggest league in the entire country, football is the most popular sport, and the Super Bowl is the most-viewed televised event every year. This is a business that makes billions of dollars annually - and we haven't even gotten into college or high school football. 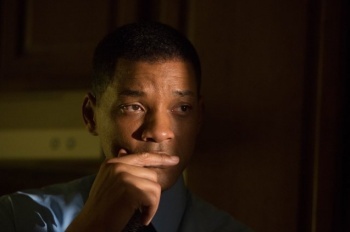 So, then, why is the NFL under scrutiny in Concussion? Why is football at the center of this controversy? 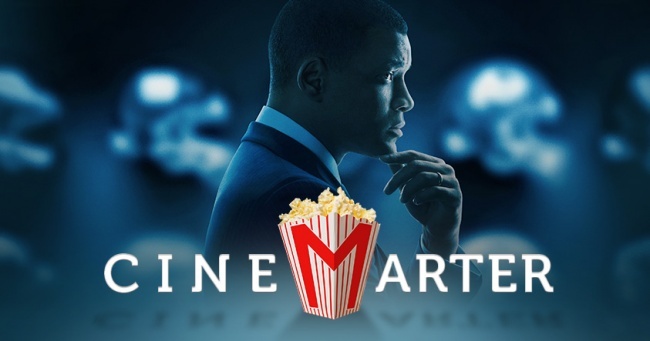 The film, set in the early 2000s, follows Dr. Bennet Omalu (Will Smith), a Nigerian-born forensic pathologist working in a Pennsylvanian coroner's office, as he conducts tests on the body and mind of a former NFL player, Mike Webster (David Morse), who died way before he should have, and didn't have any easily noticeable brain damage. Dr. Omalu, playing a hunch, runs even more tests and discovers something that would eventually be called chronic traumatic encephalopathy (CTE). After testing other recently deceased NFL players, the link between football - which has players of immense size run into each other at high speeds - and the potential for brain damage became painfully clear. So, why haven't you heard of CTE before this? Concussion will ensure that you come away knowing the lengths to which a corporation will go to protect its profits. The discovery of CTE is bad for business if you're the NFL, as the future of football could be put in jeopardy: The rules might have to be changed to ensure fewer concussions; parents might not let their children play the game at a young age, meaning the game becomes filled with less-talented players; or maybe fans will stop watching after becoming concerned with the long-term health of the players. As such, a large portion of Concussion sees Dr. Omalu fighting with the NFL about his findings, the public perception of the league, and concussions in general. Given that these findings were back in 2002, and a movie like Concussion is just now coming out, you can guess how successful the NFL was in at least partially hiding the public's knowledge of this issue. The film, much like The Big Short, does a solid job demonizing its target, although without the same level of venom that's found in The Big Short or something like Spotlight. CTE directly causes deaths, the NFL knew about this, and nothing was done. It's hard to take the NFL's side on this, and Concussion isn't interested in trying to justify the NFL's reaction. Dr. Omalu is a saint, the NFL is the devil, and people died because of its inaction.